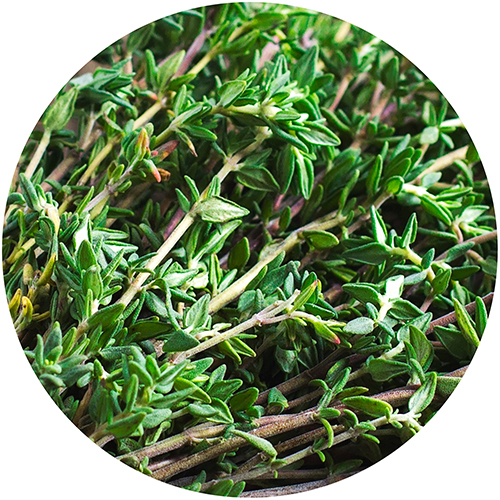 Native to the Mediterranean and southern Europe, thyme has been revered for centuries for its strong flavor and health-promoting properties. Like all the other herbs in our Catalyst base formula, it's considered a top-tier antioxidant and helps promote a healthy inflammatory response. Its powerful, distinctive flavor comes from thymol, a compound known for its profound immune-enhancing properties. Many ancient temples would burn thyme as it was considered a sacred aromatic that also symbolized courage and praise. It can also reduce smooth muscle contraction, which helps support optimal digestive functionality.